The serial killer biopic is a genre usually played out simply as one grizzly killing after the other, the viewer washed in a shower of blood and guts, before ending with a persistent cop finally catching up with the monster at large. 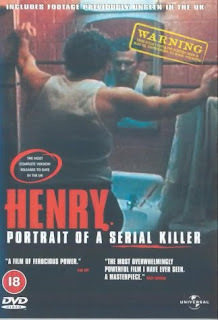 Henry is not your average serial killer biopic. Although inspired by the true story of Henry Lee Lucas and Ottis Toole, the film does not so much try to tell of the horrible ordeals which actually transpired in their lives, as to explore the relationship between the two, expose their psychology and show them as believable characters instead of monsters hiding under the bed. It is a film that is not interested in cheap scares, but tries to make you understand the reasons behind these deranged men's actions. The irony is that this understanding enables you to relate to Henry. It somehow makes him seem normal. Like anyone you pass on the street, or even your closest family. And that is heaps more frightening than the sights of all the blood and guts in the world.